Boston is home to a generally amoral and disgusting fanbase on the whole but this...this goes beyond the pale. 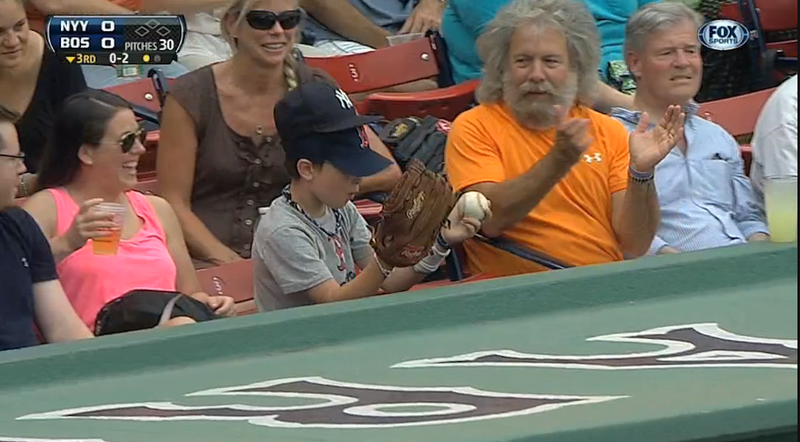 This young Red Sox fan willfully misrepresents himself as a Yankees fan, deceiving Yankees third-base coach Rob Thomson and the world at large, so he could get a lousy foul ball souvenir. By his mere presence in the same row, he has corrupted the seemingly-incorruptible Santa Claus. His treachery knows no rival. I hope it was worth it, kid. I really hope it was worth it.